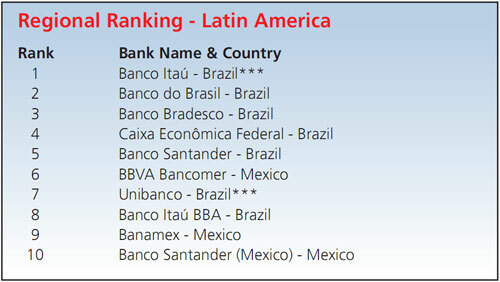 Global Finance ranks the Biggest Emerging Market Banks by Region. NEW YORK, October 16, 2009 — As the world’s key emerging markets continue to drive the global economy out of recession, Global Finance unveils its second annual Global Finance 200, the defnitive list of the biggest banks in the emerging markets. 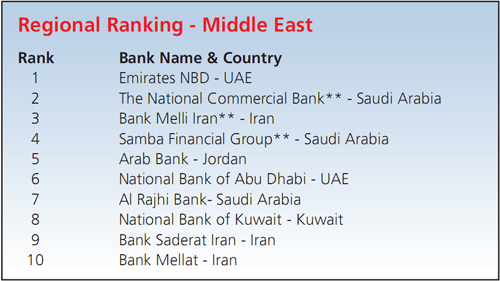 As well as detailing the 200 biggest emerging market banks by asset size, Global Finance also identifes the biggest banks in each emerging market region - Asia, Latin America, Central & Eastern Europe, the Middle East and Africa. The full list and supporting data will be published in the December issue and on the magazine’s website gfmag.com. “This year’s results show that a year after the storm broke that many believed would send the emerging markets into a tailspin, the leading banks of the developing world are proving bigger, stronger and more resilient than ever” said Joseph Giarraputo publisher and editorial director of Global Finance . 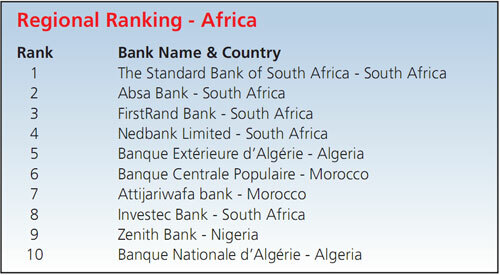 Global Finance assembled the list with the help of Bankersalmanac.com . 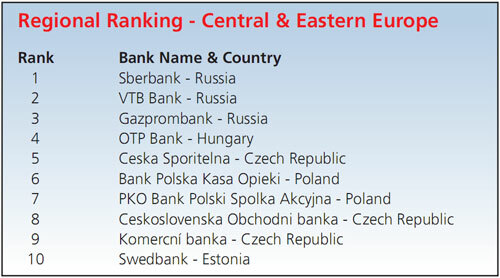 The basis of all the rankings is the size of total assets, i.e., the balance sheet total, as of the end of 2008. All fgures have been converted into US dollars at the rate applicable at the date of that balance sheet. Great care has been taken to ensure the information’s accuracy, but Bankersalmanac.com can accept no responsibility for any losses or damages arising from any errors or omissions. 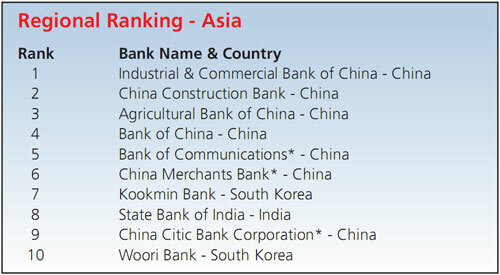 These bank rankings are based on and compiled from balance sheet information held by Bankersalmanac.com on October 8, 2009, and additional research by Global Finance . merger was announced in November 2008 and completed March 31, 2009.